'Ajjur' (Arabic: عجّور‎) was a Palestinian Arab village of over 3,700 inhabitants located 24 kilometers northwest of Hebron. It was captured by Israel during the 1948 Arab-Israeli war, during which all of its inhabitants fled or were expelled. Its lands are now occupied by the following Jewish towns: Agur, Tzafririm, Givat Yeshayahu, Li-On, and Tirosh. Near 'Ajjur, at Khirbet Jannaba al-Fauqa, was a probable site of the Battle of Ajnadayn between the Rashidun Caliphate and the Byzantine Empire, which resulted in a decisive Rashidun victory, incorporating most of Palestine into the domains of Islam. The village of 'Ajjur itself was built during early Fatimid rule in the region in the early twelfth century CE. A mosque was built during this period, and continued to serve 'Ajjur's community until its demise. Arab chronicler Mujir ad-Din reported that he passed through 'Ajjur on his way from Gaza to Jerusalem in the early sixteenth century, when the village was a part of the Ottoman Empire. By 1596, 'Ajjur was a part of the nahiya ("subdistrict") of Gaza, part of Sanjak Gaza. It paid taxes on wheat, barley, fruit, vineyards, beehives, and goats. The scholar Edward Robinson noted the village as being "small" when he passed by it in 1838. In the late nineteenth century, 'Ajjur was a small village containing olive trees, with most of its houses clustered together, but some dispersed to the west and south. A private school named Abu Hasan was established in this time period. During the period of the British Mandate in Palestine in the first half of the twentieth century, 'Ajjur became economically active in its vicinity. It held a Friday market or souk that attracted consumers and merchants from nearby towns and villages. A second school was founded in the village in 1934, which served students from nearby villages as well as from 'Ajjur. Like other Arab villages in Palestine at the time, 'Ajjur depended on agriculture, which was the basis of its economy. The main crops were olives and wheat. The second most important economic activity was animal husbandry, in particular, goat herding. Animal ownership was a symbol of social status and pride in the village, and residents gave affectionate names to certain types of animals. Animal herding caused seasonal movement by herders to distant dwellings from the village site, but still in its vicinity such as, Khirbet al-Sura and Khirbet al-'Ammuriyya. Shoe making, carpentry, and tanning were other common occupations in 'Ajjur. On 23 October 1948, during the 1948 Arab-Israeli War, the Fourth Battalion of Israel's Giv'ati Brigade occupied 'Ajjur in the northern front of Operation Yoav, unifying Israeli military operations in the southern and western fronts. Most of 'Ajjur's inhabitants had fled prior to this assault—their flight was triggered by an earlier attack, on 23 July-24. In 1992, the Palestinian historian Walid Khalidi described the village: "Only three houses remain; two are deserted and one has been turned into a warehouse. One of the deserted houses is a two-story stone structure that has a large, triple-arched front porch." Petersen, who inspected the place in 1994, noted "a large two-storey building with a vaulted arcade on the northern side. The upper part of the building is today (=1994) used as a house whilst the lower part appears to be abandoned (although it remains locked). The arcade consists of three cross-vaulted bays resting on two free-standing piers and two engaged piers at either end. On the outer (north) face of each of the two central piers there is a stone carved with two rosettes which appears to be part of a classical entablature. The outer arches is emphasised by a flat hood moulding. Each bay is covered with a cross-vault which reaches a height of approximately 4m. [..] The upper floor is reached by an external staircase on the east side leading to a walled terrace above the arcade. [..] The identity or function of this building is not known although its design and orientation indicate that it may be a mosque." In 2000, Meron Benvenisti observed that: "Three large, beautiful structures, which were located outside the village amid orchards of fruit trees, have been renovated, and Jewish families live in them. In one, chamber music concerts are held." ^ Morris, 2004, p. xix, village #294. Also gives the cause of depopulation. ^ a b c d e Khalidi, 1992, p.207. 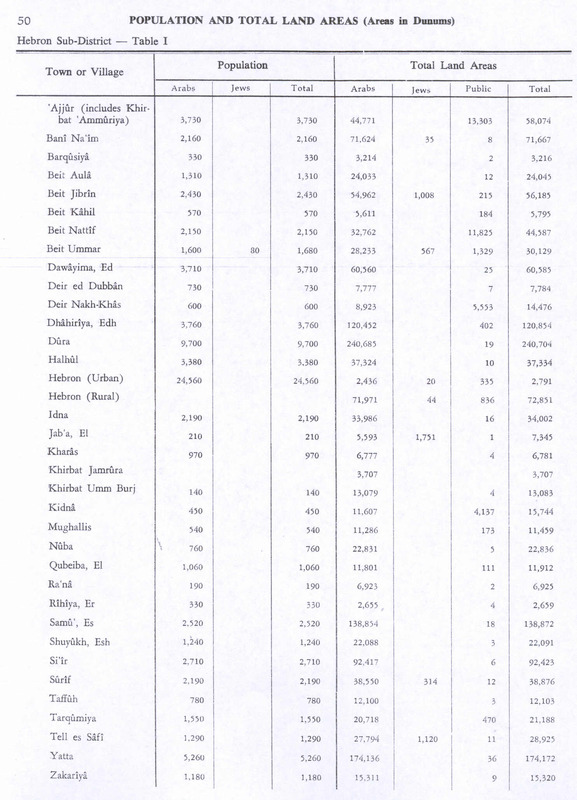 Palmer, E. H. (1881): The survey of Western Palestine: Arabic and English name lists collected during the survey by Lieutenants Conder and Kitchener, R. E. Transliterated and explained by E.H. Palmer.